We've only been in Cleveland for about two and a half months and we've already had an Aussie visitor! Chris (last seen in Tasmanian travels) arrived from Melbourne to spend a few days with us before heading up into Canada. Since we were the first stop on his North American agenda, we didn't plan any major tourist adventures so as to let him recover from jet lag, but we did keep ourselves busy with a few fun outings. 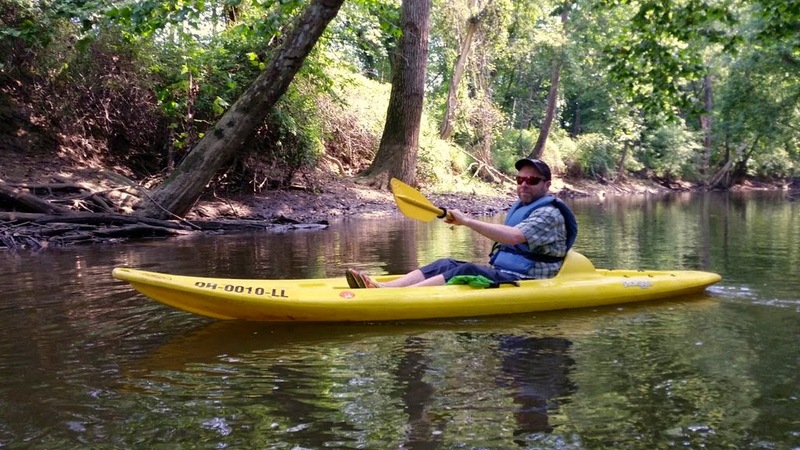 Brian and Chris spent an afternoon kayaking down the Mohican River. 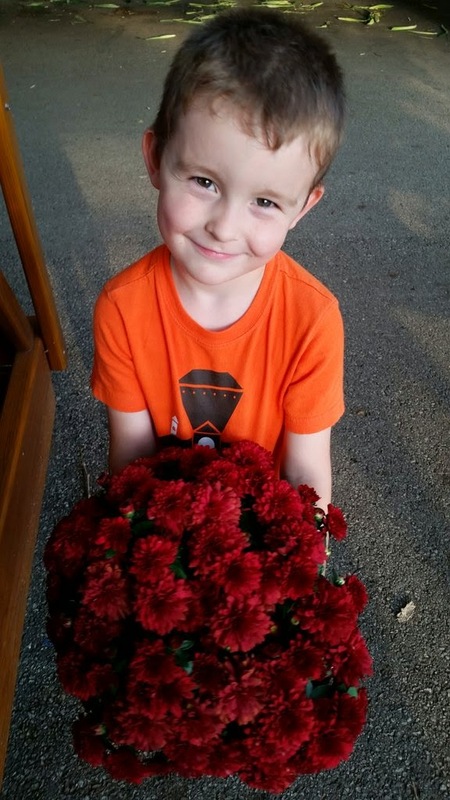 We went for a bike ride on the towpath trail and ended at Szalay's Sweet Corn Farm and Market. 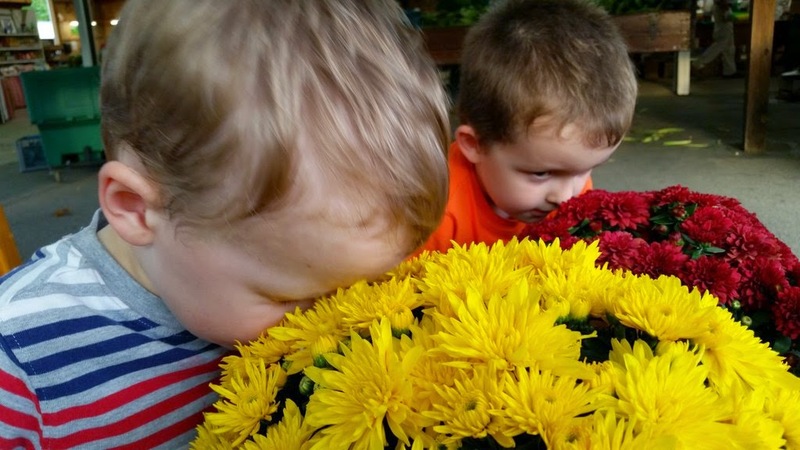 The boys loved these pots overflowing with mums. And they each got to take one home in their favorite colors. Riker adores spending time with Chris and is always happy to have a willing player in his train games! Thanks Chris for including us in your itinerary!